It's been a while since I've made this dish and I've been craving Mexican but wanted something simple so I decided to make this yummy skillet. It's packed with flavor, low cal, and makes the perfect weeknight dinner! Stir in cooking creme, rice, tomatoes, green chilies, half of the cheddar cheese, and black beans. Cook on low heat for 10 minutes. Stirring often. Sprinkle with remaining cheese; cover. Remove from heat. Let stand 5 min. Top with tortilla chips. Enjoy! This looks wonderful and I love that it is diet friendly. Do you think ground chicken would work in this? Looks delish! What is Southwest Chipotle Cooking Creme? Thank You! Philadelphia brand makes the Cooking Creme. It is in the aisle with the cream cheese. Visiting from Freedom Fridays. What a perfect dish to end the week/start the weekend! 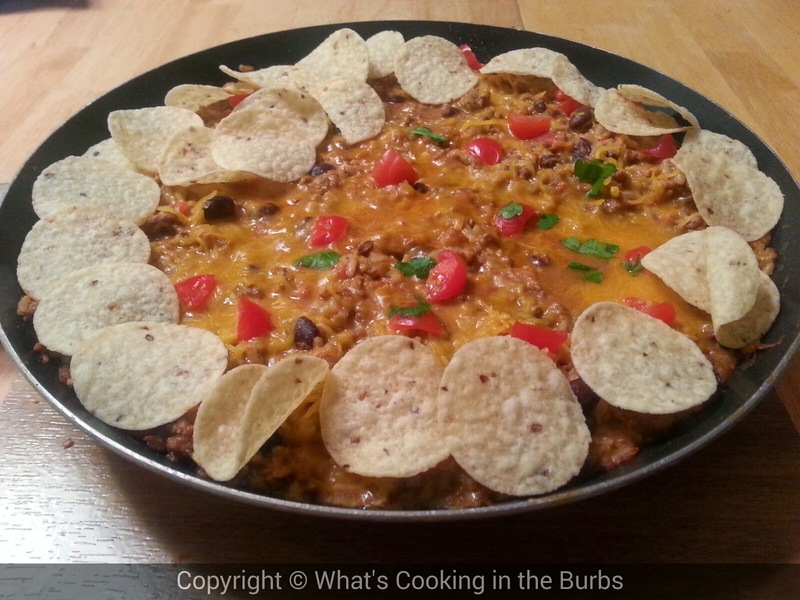 Your Cheesy Nacho Skillet is a very flavorful dish that we will just love. Thank you so much for sharing with Full Plate Thursday and have a great weekend! Nachos are one of my favorites. I'd love it if you linked this to the Super Bowl party at Tumbleweed Contessa.